A former procurement technician at the biomedical research supply company StemExpress is explaining how she would open her email each day to find a “grocery list”-like outline of certain baby body parts that she and others needed to strive to obtain while spending the day at Planned Parenthood. In the Center for Medical Progress’ second whistle-blower video, released on Tuesday, Holly O’Donnell provided actual emails and documents as proof of the workings of StemExpress inside Planned Parenthood. “Roughly saying, it was like a grocery list of what to get for that day,” O’Donnell said. She recalled that she would approach the head nurse at the Planned Parenthood facility and advise them what StemExpress was looking for on that date. “They’d give you a sheet of the appointments, which women were coming in … and if they knew how far along they were,” O’Donnell outlined. She would then compare who was coming in for an abortion that day with what was on the task page provided by StemExpress. Sometimes, Planned Parenthood staff would let O’Donnell know that a mother that was of her needed gestation was present, so that she could obtain the woman’s consent that the baby’s remains be used for research. 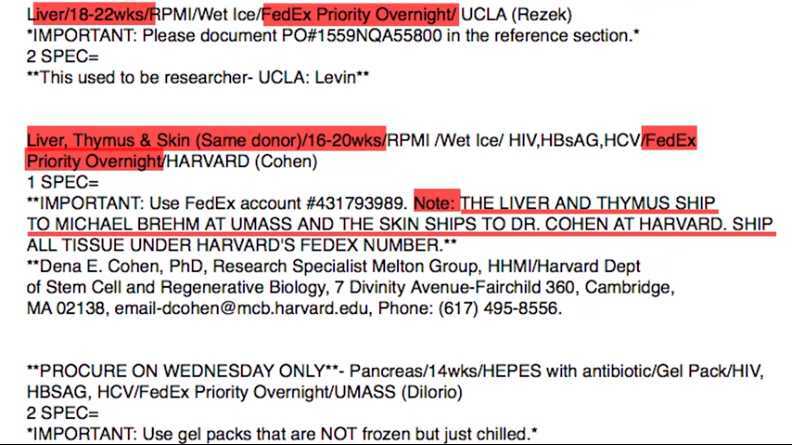 One of the task schedules shown in the video from March 20, 2013 outlines that a liver from a baby 18-22 weeks gestation was needed for UCLA that day, and a liver, thymus and skin sample from a baby 16-20 weeks gestation was needed for the University of Massachusetts and Harvard. “Ship all tissue under Harvard’s FedEx number,” one of the task notes read. O’Donnell left her job at StemExpress in 2013, and StemExpress discontinued its partnership with Planned Parenthood in 2015 after CMP’s undercover investigative videos were released to the public. As previously reported, last year, the Congressional Select Panel on Infant Lives issued numerous criminal referrals while investigating Planned Parenthood and its partners, including StemExpress. 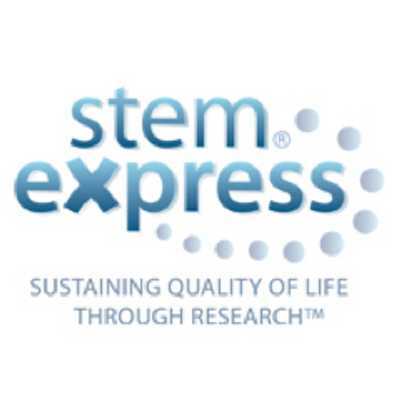 Specifically, the Congressional Committee noted in its report that StemExpress, Advanced Bioscience Resources (ABR) and Novogenics Laboratories purchased the bodily organs of aborted babies from several California Planned Parenthood locations, and then resold them at substantially higher prices. The organizations were also accused of hiking the prices above costs for “transportation, implantation, processing, preservation, quality control or storage of” the body parts. “Around that time, Planned Parenthood announced it would no longer accept any payments in connection with its fetal tissue transfer programs,” Sen. Chuck Grassley explained.